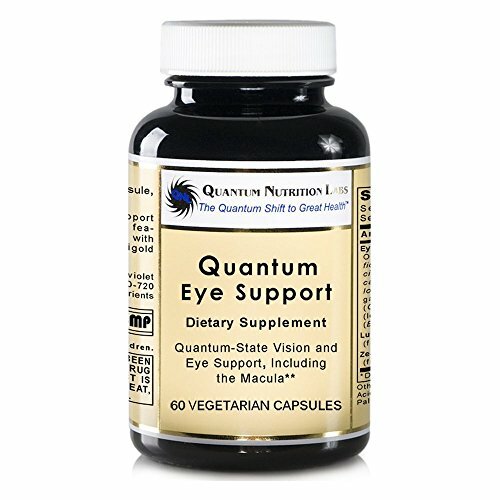 Quantum Eye Support is a quantum vision and eye support formula, which features two well researched eye support nutrients: natural-source lutein (from marigold flowers at 10mg/cap and natural-source zeaxanthin (from marigold flowers) at 2mg/cap. In addition, Quantum Eye Support features Eye Integrity Support Blend, which contains a broad spectrum blend of high value, quantum-state botanical agents for optimal support. Zeaxanthin is the strongest antioxidant carotenoid found in the retina. Zeaxanthin cannot be made by the body, thus it must be supplemented as part of the diet. Zeaxanthin supports lens and macula health. Lutein is a naturally occurring carotenoid and is found in high concentrations in the macula. Lutein is a powerful antioxidant, which can fight free radicals and protect cells from oxidative stress. Research studies show that a higher dietary intake of lutein and zeaxanthin is related to good visual health. Recent research studies show healthy benefits from supplementing with lutein and zeaxanthin. Studies also show that a regular dietary intake each day may be necessary for good eye health support. The "Quantum Nutrition Effect" - When quantum-state nutrients are combined together, their effect is far greater than the sum of their individual benefits. Quantum-state products are the result of our relentless search to find not only the best grown phytonutrients worldwide, but also those with quantum energetic properties. If you have any questions about this product by Quantum Nutrition Labs, contact us by completing and submitting the form below. If you are looking for a specif part number, please include it with your message.